I had the pleasure of been the official videographer at the beautiful wedding of Shauna Lawlor and Shane Granger on 13’th December 2015. 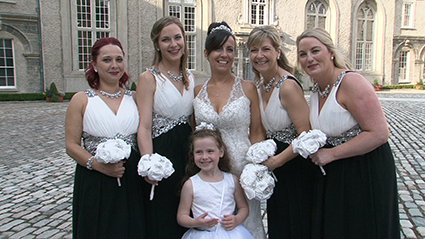 I started filming at the Church of St Patricks in Mohill, were Shane, Alan, James, Richard and Ian were busy getting the last minute prep done and meeting the guests, the girls were getting ready back at the lovely lough Rynn. Shauna arrived in a lovely Regent car supplied by Smyths Chauffeur of Roscommon. It was a lovely church ceremony conducted by Fr. Alan Hillard and he was magnificent and had everyone at ease. Roz from Couple Photography was the wedding photographer on the day and she is always a pleasure to work with, check out her wedding blog. 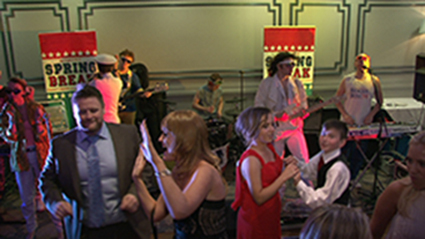 The Lough Rynn Hotel was really great, they couldn’t do enough for everyone and Ciara Mc Keon was in full charge. The wedding band was the famous After Dark they are brilliant and had the place hopping. It was a great day and I look forward to meeting Shauna and Shane when their wedding DVD’s are ready. I had the pleasure been the Videogarper in Mount Anville on 12’th November at the production of Honk. It was a great night at the show Honk by the Students of 5’th and 6’th class of Mount Anville School. The show was fantastic and everyone involved should be so proud of themselves. The hard work defiantly paid off and you wouldn’t see much better in a Theatre. Fran Quigley of CAVS was responsible for all the lighting and sound and did an excellent job. It was a pleasure to work with the staff and children in Mount Anville who were involved in the production of Honk and I look forward to seeing them again soon. 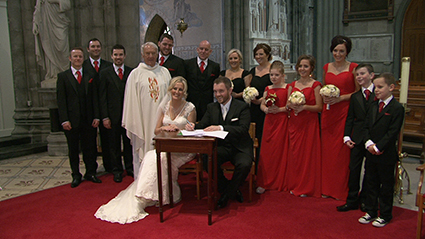 It was a pleasure to be the official wedding Videographer for Fiona Halpin and Matthew Jordon on 23’rd October 2014. I started filming at St Bernadette’s Church to get a few shots beforehand and I then had the pleasure of meeting Matthew who was waiting on their guests to arrive. I went to Fiona’s house were the madness of everybody getting ready was in full swing and I just missed Michelle from Carshelles who had done a fantastic job on the make up. I filmed Michelle’s wedding in May and got this job through her recommendation, so thanks Michelle. 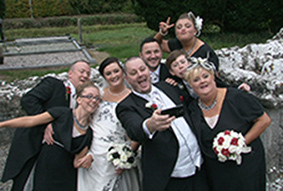 (Michelle and Alans Blog) They were all having a ball getting ready along side the wedding photographer on the day David Moore from Trim. We all headed to the church and the wedding ceremony was lovely. Michael from Att Chauffeurs was looking after the transport and was as professional as always. We headed to the wedding reception in the lovely Knightsbrook Hotel and everything went great and we were all looked after to the highest standards all day. 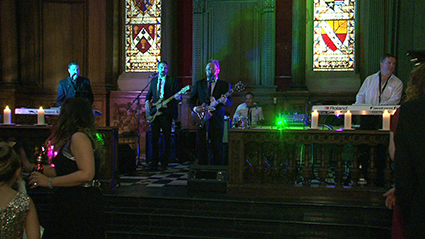 The wedding band was none other than Goodfellas who are always at the best weddings and are a brilliant wedding band. It was a great day and I look forward to meeting them when their wedding DVD’s are ready. 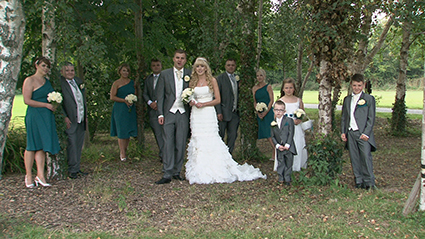 I had the great pleasure of been the official videographer at the wedding of Loretta and Tony on 20’th September 2014. 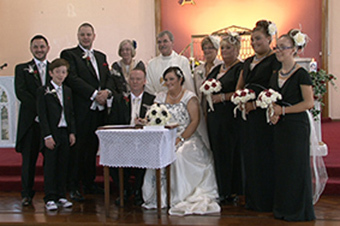 The wedding ceremony took place in The Church of Blessed Margaret Ball and Fr. Bernard Collier did a beautiful ceremony. The church music was by Encore and it was stunning. Tomas from ATT Cars was looking after the transport and they are one of the most professional ones around. The wedding reception took place in the magnificent Grand Hotel and everything went like clock work by the Banqueting Manager and the staff who were excellent. The wonderful Clare from Photohouse was the wedding photographer and like always is a great photographer. 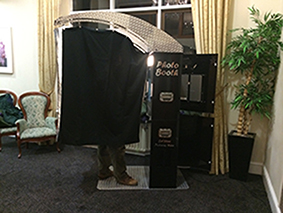 There was also a photo booth were peter was looking after the guests dressing them up, they all appeared to be having great fun. 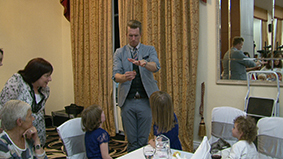 We were also amused after the meal by a very new magician to the wedding scene Andy James who was very good. 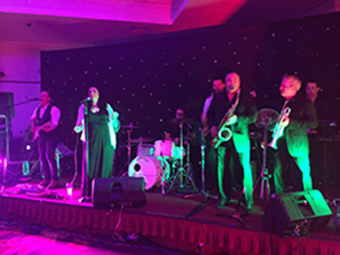 The wedding band was the brilliant Atlantic Avenue who kept the crowd entertained for the night. It was a great day and I look forward to meeting Loretta and Tony when their wedding DVD’s are ready. 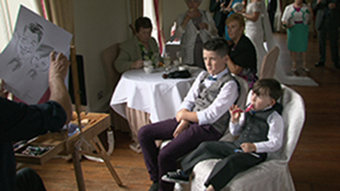 I was the official wedding videographer at the magical day at the wedding of Ali and Killian on 19’th September 2014. 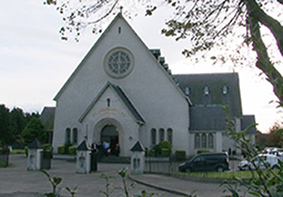 The ceremony took place in The Immaculate Church in Clondalkin. 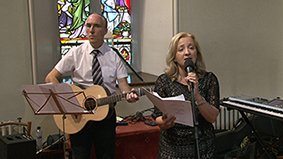 The church singer was Aishling Connolly from the latest band on the wedding scene All talk. Aishling is a beautiful singer and the band are fantastic. The wedding cars were from none other than ATT Chauffeurs. The wedding reception took place in The Red Cow Hotel and everything was stage managed by the Banqueting Manager who was excellent. The wedding cake was from Cupsy Daisy Cakes and was magnificent. 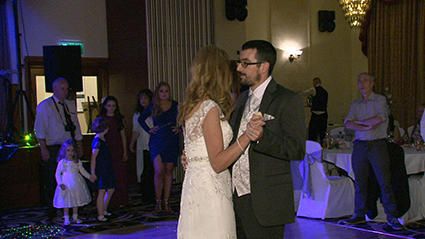 Mr Declan Corrigan was the wedding photographer on the day and he is a pleasure to work with as he has great time for videographers. It was a great day and I look forward to meeting Ali and Killian when their wedding DVD’s are ready. 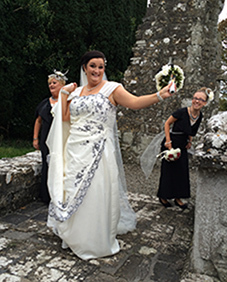 Wedding Videographer – Triona and Ciaran – 13’th September 2014. 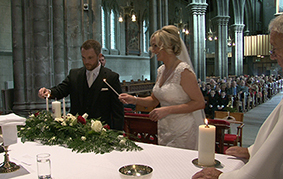 I was the official wedding videographer for Triona Lawler and Ciaran Mc Donough on 13’th September 2014. It’s not every day you get to film in the Magnificent 17’th Century Royal Hospital Kilmainham and we had the most magnificent sunny weather last Saturday. I started filming in the stunning grounds of the Hospital were the amazing outside ceremony took place. 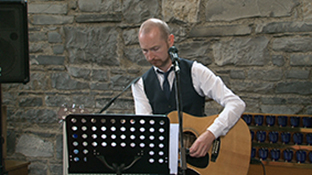 It was a Civil Ceremony and Janet Wade was the solemnised, we had plenty of music and the one and only Dave Agnew played the bridal entrance, they had The Musical Suspects and not forgetting the beautiful voice of Gavin James. The wedding cars were from Lawlers Cars, well considering it was their sister getting married you wouldn’t expect anybody else to have supplied the wedding cars. 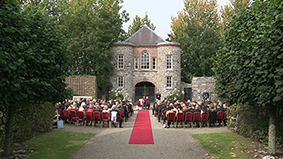 The Royal Hospital Kilmainham was magnificent for a wedding reception and it was stage managed by Mr Daryl Egan from Egan Hospitality. I had the pleasure of being seated to enjoy the wonderful reception and it definitely got 10 out of 10 for everything. 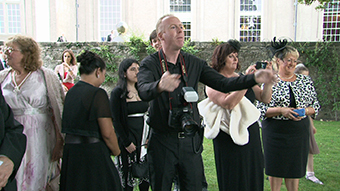 Mr Dermot Byrne was the wedding photographer on the day and he is a pleasure to work with. 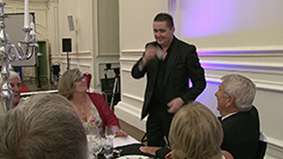 They had the fantastic Carl Campbell, professional magician entertaining the guests. Mr Fran Quigley from CAVS was looking after all the AV screen and projectors, it was great to see Fran. 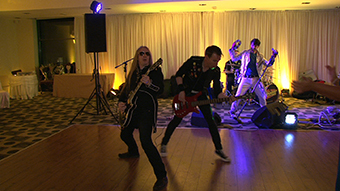 The Wedding band were the famous Late Late Show Band The Canabre who were fantastic. 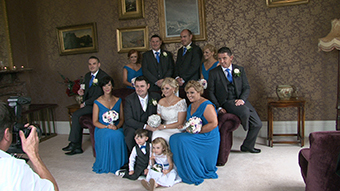 It was a great day and I look forward to meeting Triona and Ciaran their wedding DVD’s are ready. 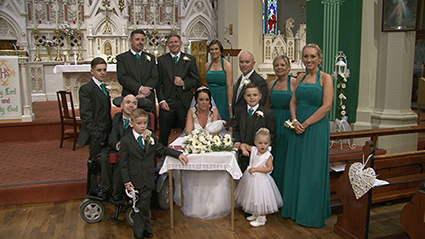 I had the pleasure of been the official wedding videographer for Christina O’ Reilly and Darren Brady on 12’th September 2014. I started filming with Jennifer having the finishing touches done to her hair and make up. 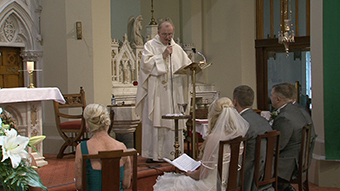 The wedding ceremony was held in The Immaculate Conception in Clondalkin and the priest was the one and only Fr. Joe Kennedy from Mount Argos, anyone who knows Fr. Joe will tell you a nicer man you could not meet. 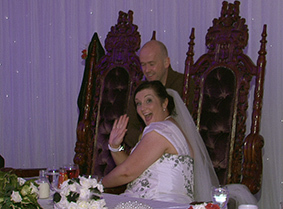 The wedding photographer was Gary Mc Namara from Kells Co Meath. 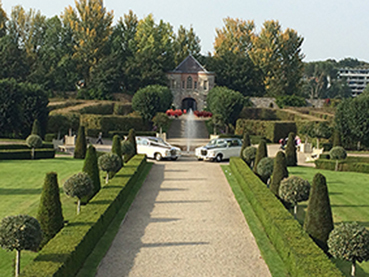 The wedding cars were supplies by ATT Chauffeurs. 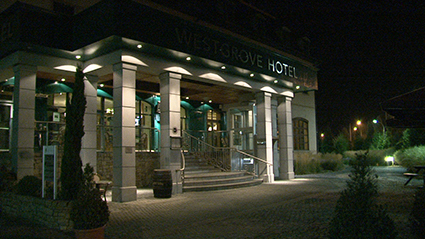 We headed to the wedding reception in The Westbrook Hotel in Clane and they did a magnificent job and put on a lovely day. There was a person taking pictures for key rings from Newly Weds and they are a great keepsake. 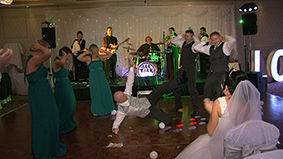 The wedding band were the wonderful Entourage, and Celtic Rhythm Dancers did a stint of Irish dancing the crowd loved it. It was a great day and I look forward to meeting Christina and Darren when their wedding DVD’s are ready. 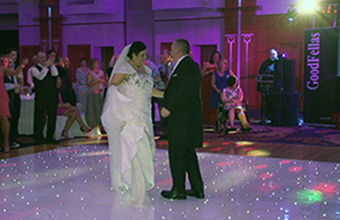 I had the pleasure of been the official wedding Videographer for Danielle Lynch and Ger Bonass on 9’th August 2014. I started filming at Danielle’s house were Danielle and the girls were having the final touches to their make up and hair by More Than Makeup who were doing a great job. Dave Moore a local was the wedding photographer on the day, he is a well renowned photographer and his shots are spectacular. 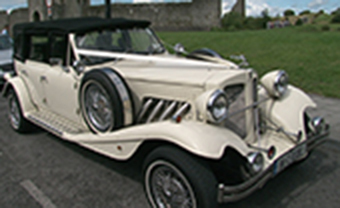 It was a full wedding ceremony held at the wonderful St Patricks Cathedral in Trim were Danielle arrived in a lovely car supplied by Lawler Chauffeur Drive. 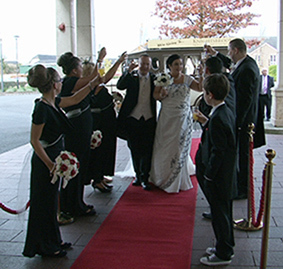 The wedding reception was in Knightsbrook Hotel and as always the staff pulled out all the stops to ensure it was a great day. 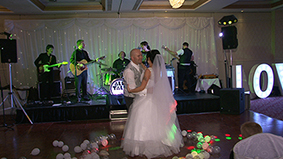 The setting is magnificent in this wonderful part of Meath and Knightsbrook Hotel is a most sought after venue. 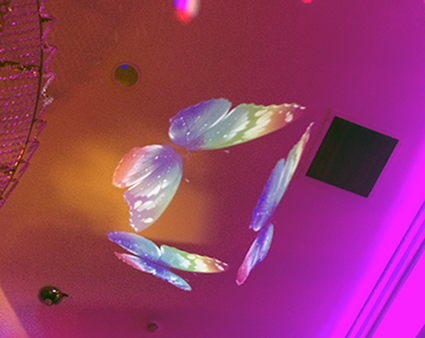 Nicole from Just light had a fabulous light show displaying the butterflies that was the theme of the wedding. The wedding band was a new one called The Firm and wow is all I can say they were brilliant. 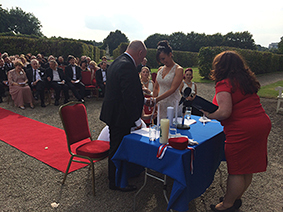 I was the official wedding Videographer for Niamh Foley and Caolainn Murphy on 6’th September 2014. 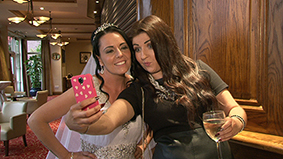 I started filming the lads and yes the bride Niamh too at at the Kilkenny Ormonde Hotel, everyone was very relaxed and looking forward to the day. It was the day before the All Ireland Hurling Final and the city was a buzz. 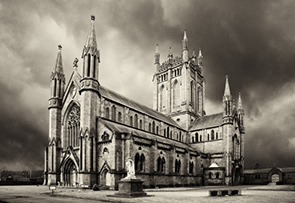 It was a full wedding Ceremony held at St Marys Cathedral in the City. Niamh and her father arrived in a stunning Benchley car from All Events Cars in Waterford. 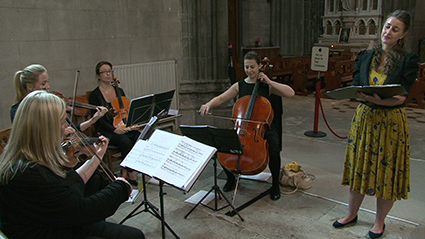 The music was sung by a friend Kerrie O’ Brien and what a magnificent voice she had, Kerrie was accompanied by the magnificent Dublin String Quartet. 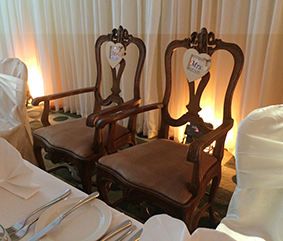 We headed to the lovely wedding reception in the Kilkenny Ormonde Hotel, Louise Hilliard and Sinead Bulger looked after everything on the day and did a fantastic job. The wedding band was none other then the fantastic Springbrake who are an 80 ‘s tribute band, they are brilliant and have the crowd on their feet for the night. 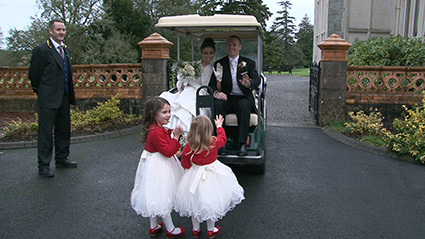 It was a great day and I look forward to meeting Niamh and Caolainn when their wedding DVD’s are ready. 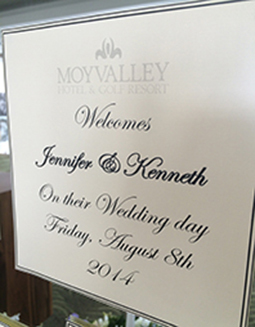 I had the pleasure of filming the wedding of Jennifer O’ Reilly and Kenneth Winters on 8’th August 2014. I started with the girls at their house were there was a great buzz. We had a lovey service at the church by Fr. Tom Kennedy in St. Mary’s Church in Lucan, Jennifer was there right on time we won’t say who was late. The beautiful church music was from none other than Doug Sheridan and he was fantastic. The wedding photographer was Tadhg Nathan from Photographic Memory. This was my first time to work with Tadgh and I hope our paths cross again. 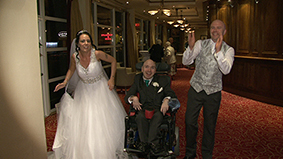 After the Ceremony we headed to the Moyvalley House Hotel were Lynn Ryder was there to meet and greet everyone. The drinks reception was in the big house were Niall O’ Loughlin was doing caricature drawings of the wedding guests. 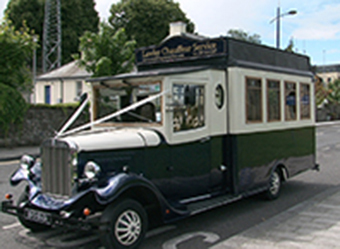 The beautiful wedding car was supplied by AKM Limos. The wedding band for the night were Delorean who are a magnificent band and I can vouch for that as I see them around at several weddings, they played at Linda and Alan’s wedding and had the place rocking as well.